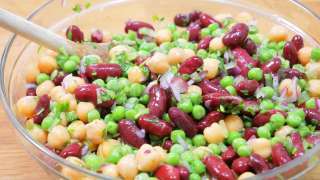 In this kvalilog I make a 3-bean salad packed lunch for a trip to Superbooth in Berlin. Superbooth is the world's largest synthesizer festival. you arrive at the festival via a boat trip down the Spree. 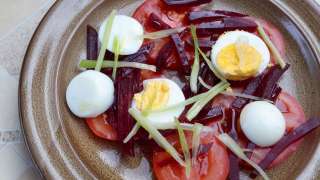 this salad is one of the quickest and easiest dishes I know off, that also tastes good. I use it occasionally for boxed lunch because it is a lot of food in a little space. Which is practical when you are going to carry it along. However, the salad is equally good as an a side for lunch or dinner. Especially if you are a training hard and need as much protein as possible. 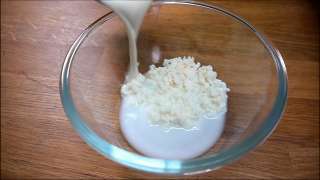 Milk kefir is not something you usually make yourself, but it is incredibly easy. It works both at room temperature and in the refrigerator. The hardest thing is to get a hold of some kefir grains to start with. There you would have to know someone who knows someone. This is also a very simple recipe for a kefir smoothie. Every year when the winter seems to drone on endlessly, asparagus is one of the first new vegetables that comes into season. It brings me into a good mood every year. 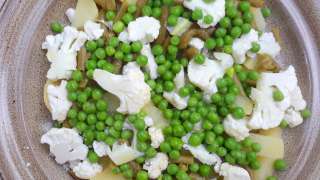 The green asparagus is good to use in complex dishes, but the white asparagus can be eaten almost without doing nothing to them. For example cooked and served with melted butter and a slice of lemon. 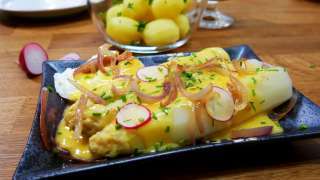 Or like in this recipe with Sauce Hollandaise and some of the other spring vegetables as garnish. A good and simple salad, that can be used as an accessory to meat instead of the usual gravy and potatoes. Canaille is French for mob or dog dog. 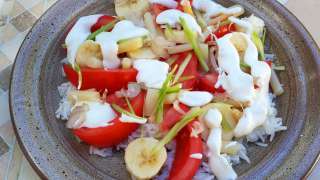 But I do not know any mob that is eating rice salad with banana and asparagus? It sounds like a weird mix, but it actually tastes really good and mild. A simple, tasty and beautiful salad. Eggs and tomato is the perfect pairing. The beetroot adds the volume that satiates. Especially nice with a piece of good homebaked bread. 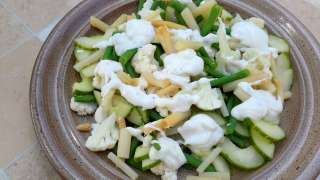 A very nice and light salad with cauliflower as a main ingredient. Most suitable as a sidedish for meat as there are not many calories in it. A really good lunch salad that feels good. A typical leftover salad. 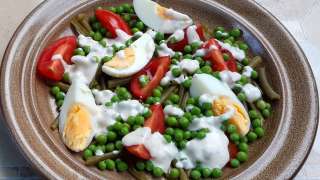 Beans, peas and egg are all very satiating ingredients in a salad. They also complement each other well taste wise. 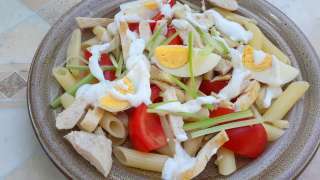 It is also a salad that is very easy to make. Furthermore, I got a weak spot for salads that uses a white dressing instead of a vinaigrette. 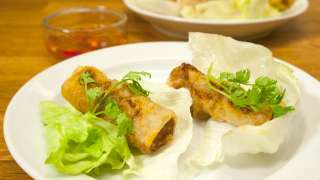 The regular large Chinese-inspired spring/egg rolls we typically eat in Denmark are just fine, but they can not measure up with the Vietnamese. It is small, juicy and crispy at the same time. The filling tastes like a mix of meatballs and fish cakes, and the dipping sauce is filled with acid, sweetness and umami. It is also gluten free, for those who do not like the glutens. 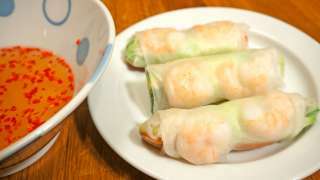 Most people knows the spring roll. A fried pancake filled with force meat and cabbage. It is good. But surprisingly, the Vietnamese spring roll is at least as good. Even thoigh it is the diametrical opposition of the spring roll. Rice paper instead of pancake. Raw instead of deep fried. Raw vegetables and a light meat filling instead of roasted force meat. It is the perfect starter or a nice "light" breakfast. It's also a good way to cheat the kids to eat some vegetables. The rolls can be varied with just about any filling that suits your taste. Yet another of my favorite Asian dishes. Gateau marcel is a chocolate mousse where a portion of it being baked and the other part continues life as a chocolate mousse. So from the same dough you get both the bottom and topping. It's the only cake I can remember where that happens. 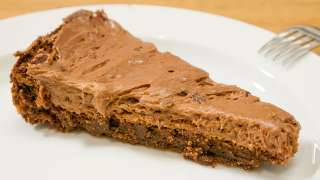 So it's easy to make and it only tastes of the chocolate you're using. Use a really good chocolate. The cake is worth it. I have changed the quantities a little bit from the original recipe, and then I have added a little grated orange peel as well. Pho is the Vietnamese version of the classical chicken meat soup. 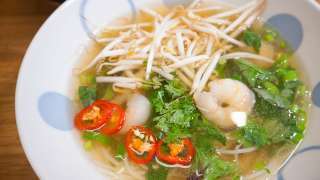 The difference is that it is more used as a "pho principle" than as a single recipe. 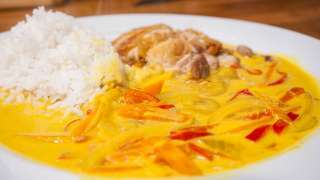 The basic soup itself is very simple, but the content can be varied indefinitely. When you do something often, it's important that it's easy to do, and if you are only to use a stock for soup, this is a good shortcut. 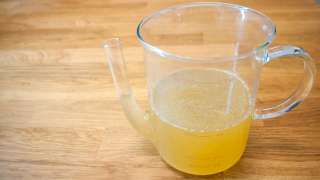 The simplest stock you can make is this, and it contains only chicken and water. Usually, there are meat, bones, vegetables and herbs in a stock. But with soups, you will put vegetables and herbs in soup itself, so it does not have to be in the stock too. I know I've got a lot of recipes and videos with stocks, but for me it's an essential element of the food I'm making. In the winter, I typically make a batch every week for soup and sauces, and I do not always want to peel and clean a lot of vegetables for it. Then I just use this recipe. My favorite sauce from the Asian cuisine I also have copied from my local Vietnamese restaurant. Normally I get it with crispy chicken or duck. It is another recipe that is very suitable for a busy week. It takes 5 minutes to make and taste absolutely awesome. 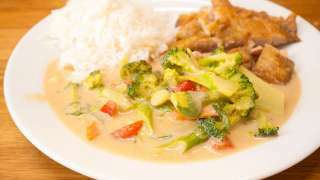 Of course it is best with fresh vegetables that have been cooked for just a few minutes, until they are "al dente", but it is almost as good with frozen vegetables. Crispy chicken is some of the best meat you can eat. I should know, as I do it often. Especially when there is a busy week ahead and I prepare food for several days for Asian dishes. Then it only takes 10 minutes to prepare the meat on the day itself. 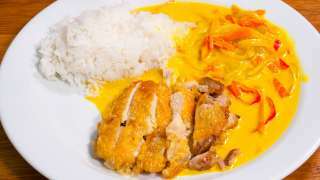 When ordering an Asian dish with crispy chicken, it is usually the breast you get. But in fact, the thigh is even better to fry. 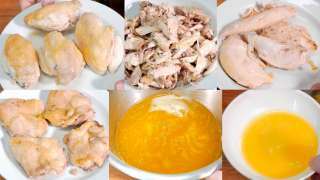 You use almost the same technique for thighs and breasts, but there is still a slight difference, so I will make two different recipes. When you know you have a busy week coming, it's a good idea to prepare in advance so that the individual dishes can be simple and quick. I usually cook chicken dishes in those weeks. Therefore, I prepare enough chicken for as many meals as I need. I often make the same kind of food for a week at a time. Asian, Indian, French, etc. Chicken prepared in this way is especially suitable for Asian week. There are 4 servings per chicken, so it's just a matter of multiplying how many meals you need. If you are four in the family then it is a chicken a day. It's a recipe I have copied from my local Vietnamese restaurant, where I've been coming for many years. It i suitable most meals and is incredibly easy to make. 15 minutes from start to finish if you are a little efficient. It has a really good strong taste and satiates well.